Don’t Miss It! 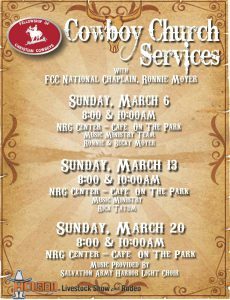 Ronnie Moyer, FCC National Chaplain will be bringing GOD’s message to the 2016 Houston Livestock Show and Rodeo at Cowboy Church, March 6, 13 and 20. 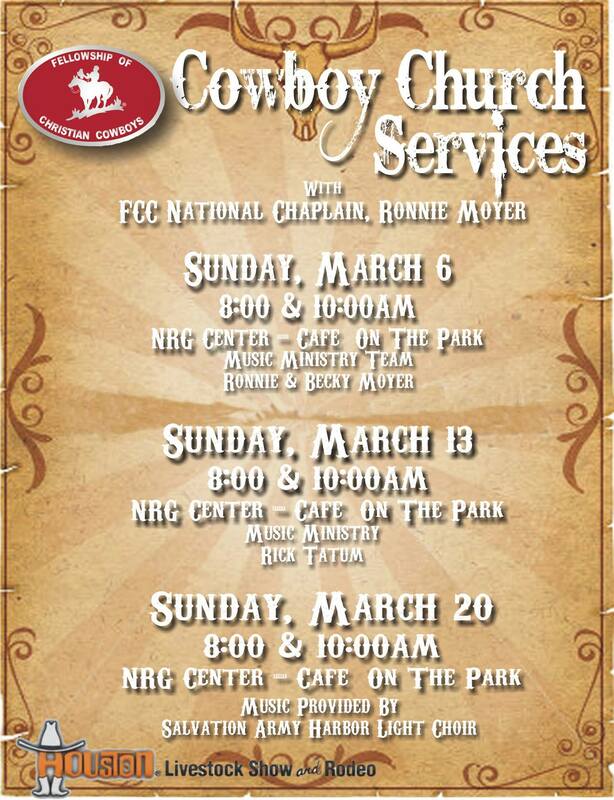 Two services each Sunday in the NRG Center – Cafe on the Park, at 8am and 10am. Everyone is welcome!